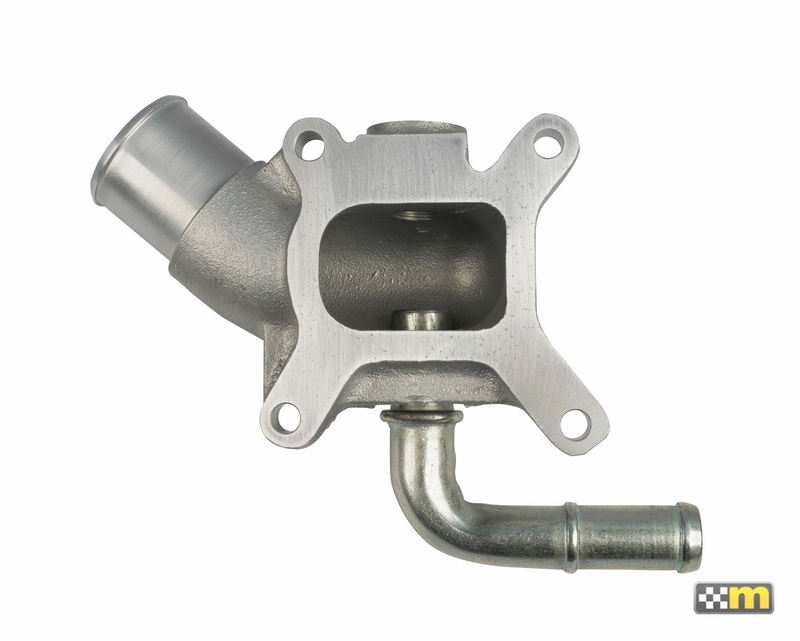 The mountune Racing coolant outlet housing has been engineered to replace the standard Ford part, manufactured from cast Aluminium alloy, giving a more robust solution. 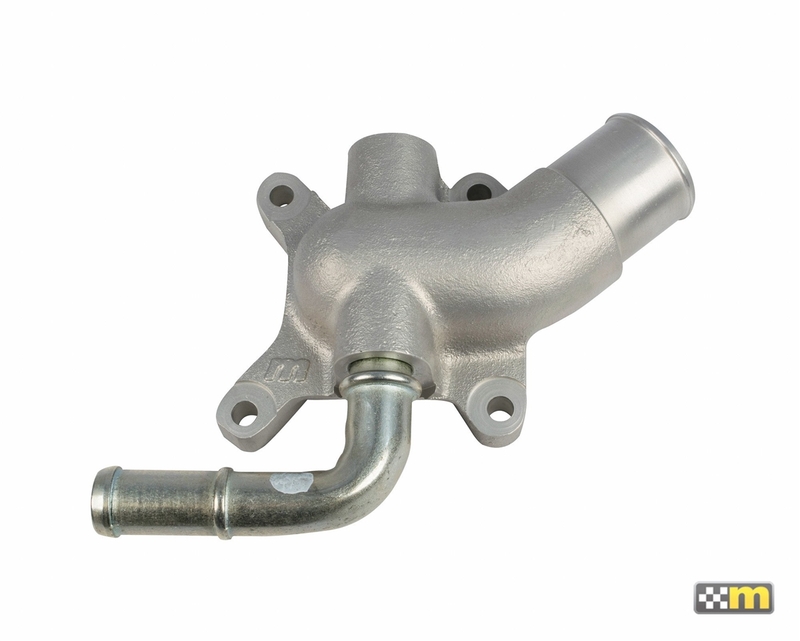 The design allows for the simplification of pipework in performance / racing applications with a single outlet to accept a 32mm (1 ¼”) ID hose, and includes an M12x1.5 thread for the fitment of a temperature sensor. The mountune Racing component fits directly on to 2.0L and 2.5L Duratec and 2.0 EcoBoost cylinder heads, and retains the use of the standard Ford gasket. 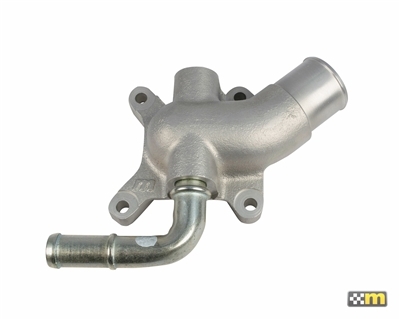 Available assembled with a bypass pipe (as shown) or a blanking plug - please select from the drop down menu. As used in the mountune Racing prepared MRF Formula 2000 2.0L Duratec and BAC Mono 2.5L Duratec engines.